The times, route and other details of the journey are stipulated on the booking confirmation. Any requests to modify any of these details should be made to us at least a week in advance of the date of travel. Subject to availability any agreed journey changes, including additional pick-up or drop-off points, may result in additional cost to the customer. Any additional cost will be notified to you at the time the requested changes are agreed. The hire agreement includes specified pick up and return times and/or duration of hire. Failure on the part of the customer to adhere to these times may result in additional charges. 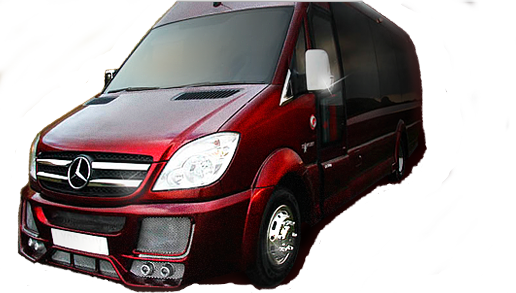 The customer who has made the booking will be totally responsible for all aspects of the vehicle hire & their guests. Credit cards on file will have client authorization to debit any other charges incurred if not paid in cash to driver. Unless you have opted for a continual hire agreement (hourly rate), your vehicle may be hired out to other customers between your pick up and drop off. We will endeavour to accommodate delayed flight times, but cannot be held liable should circumstances prevent us from being able to respond to changes. In the event that we are not reasonably notified of delays, we reserve the right to make additional charges for subsequent collection. i.e. 1 Hand luggage type bag per person. Changes to a different sized car at a later date may occur additional charges (subject to availability). Once you are issued a booking confirmation by email, phone or by post it will contain all details of your booking. You are solely responsible for immediately informing us of any amendments or errors. Changes to the details may result in additional charges or we may not have cars available in which case the client acknowledges we have no obligations to perform any service nor to refund any deposit paid. The client accepts that this booking confirmation embodies all the details of the booking and that no employee of Extreme Limousines have made any promise or undertaking not included on this booking confirmation. If you have not received an email booking confirmation it is your responsibility to immediately inform us. We have no responsibility for delayed or non-delivered email. We are unable to take responsibility for the loss of property left in the vehicle at any time and under any circumstances. In the unlikely event of breakdown or the car being unserviceable (for example in the event of a traffic accident) we will endeavour to provide a back-up vehicle or vehicles as quickly as possible. However we cannot be held liable for any consequential loss incurred as a result of vehicle breakdown or other unavailability. We strive to arrive at pick-up points in advance of agreed times. Occasionally events outside our control (e.g. traffic congestion) cause us to be late. In these circumstances we will endeavour to adjust the agreed booking times to make up for the delay, e.g. by adding a similar period of time at the end of the booking period. All accidental damage will be chargeable to customer's credit cards or cash payment made to the company for replacement of damaged items. A cleaning charge for any unreasonable amount of litter or sickness in the vehicle will be chargeable to customer's credit card or cash payment to be paid to the chauffeur. These charges will depend on the damage. Any wilful or malicious damage will be reported to the police and charges for criminal damages will be made. The driver is in charge of the vehicle and it's passengers during any journey and should he have reason to believe that any of the passengers are behaving in an unreasonable manner he has the authority to evacuate the vehicle and terminate the journey. Any verbal or physical assault towards the driver will not be tolerated at any time and if the driver feels that any passenger is, they will be reported to the police immediately and charges for criminal damages will be made. In any of these circumstances no refund will be made. There is a 100% cancellation fee on all bookings for any vehicle if cancelled less than 24hours prior to the journey. This will be deducted from your credit card. The 20% deposit which confirms the customer's booking is non refundable. What is meant by a 'one way journey'? What is meant by a 'return journey'? What if I need more drop-offs and pick-ups? At Xtreme Limo, we understand just how important your wedding day is. Our wedding package can be tailored to your exact requirements, with the vehicles decorated to exactly how you envisage them to look on your special day. All content copyright - all rights reserved © xtremelimo.co.uk : Site developed and maintained by pound-a-website.co.uk. Site developed and maintained by pound-a-website.co.uk.